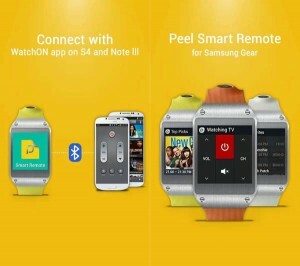 Though the roll-out of the Samsung Galaxy Gear smartwatch has been far from perfect, the South Korean company behind it are naturally putting their faith behind the fact that this new concept can develop, with one of the first updates coming through an app designed to ensure you have a ready-made alternative should you ever lose your TV remote. 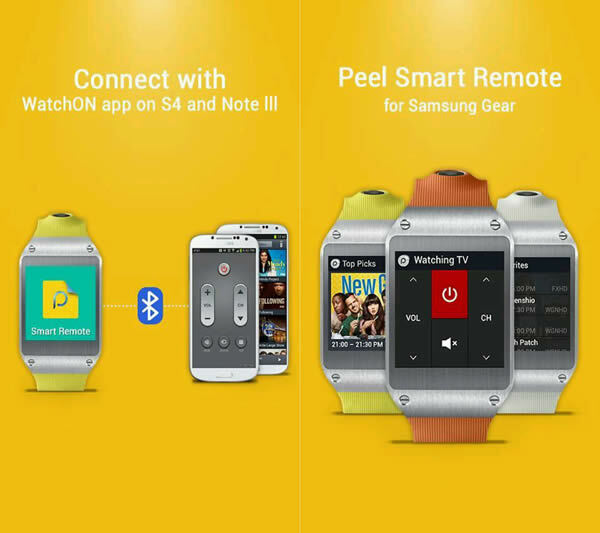 Collaborating with American company Peel (creators of the ‘TV entertainment guide app’ WatchOn), Samsung have announced an official ‘Smart Remote’ app for their wearable technology device (officially called ‘Smart Remote for Samsung Galaxy Gear’), continuing the brand from the smartphone (Galaxy S4) and ‘phablet’ (Note 3) versions of the mobile TV control service. Once the app is installed on the device and connected to a set, users are able to control their TV through their watch with the ability to switch on/off, change the channels and control volume directly from single-button controls on the watch, with all that is required being the app on-screen and the watch pointed towards the TV in order to send the infra-red signal. The app also informs the user of the programme they are currently watching, filling out the remainder of the limited-size screen options. Available through Samsung’s official app store, the service is able to be installed through ‘Galaxy Gear App Manager’ on a connected smartphone or tablet computer, but while plenty of downloads from users could be expected due to its lack of space and Samsung’s name in the title for an official ‘stamp of approval’, how many will actually use the service?